It’s the question that’s been on everybody’s lips for a long, long time: what is the Avengers 4 title? 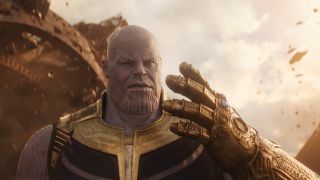 While we still don’t know what it’s going to be – Marvel are quite good at that whole keeping secrets thing, especially as the title might be a spoiler for everything that went down in Infinity War – Kevin Feige has revealed a rough time-frame for when we can expect the title to Avengers 4. So, get marking your calendars. Speaking to Collider, Feige has laid out the roadmap – with all destinations leading to that Avengers 4 title. In fact, it all sorta ties in to when we can expect the Captain Marvel trailer. With that Captain Marvel trailer still being “a few months away” – i.e. September or October once the dust has presumably settled on the later Ant-Man and the Wasp UK release date in August – a November or December reveal for the Avengers 4 title looks the most likely outcome. Feige has confirmed it’s definitely 2018-bound and, with Avengers: Infinity War launching most of its debut material and promos in late November 2017, it would appear that its sequel doing the same thing 12 months later would be the next logical step. Of course, that’s all speculation – but that window is getting narrower and narrower by the day. So, after Ant-Man and the Wasp, there’s a Captain Marvel trailer and a possible November release date for the Avengers 4 title. Even when they’re not releasing movies, Marvel sure knows how to cram a year full of anticipation.